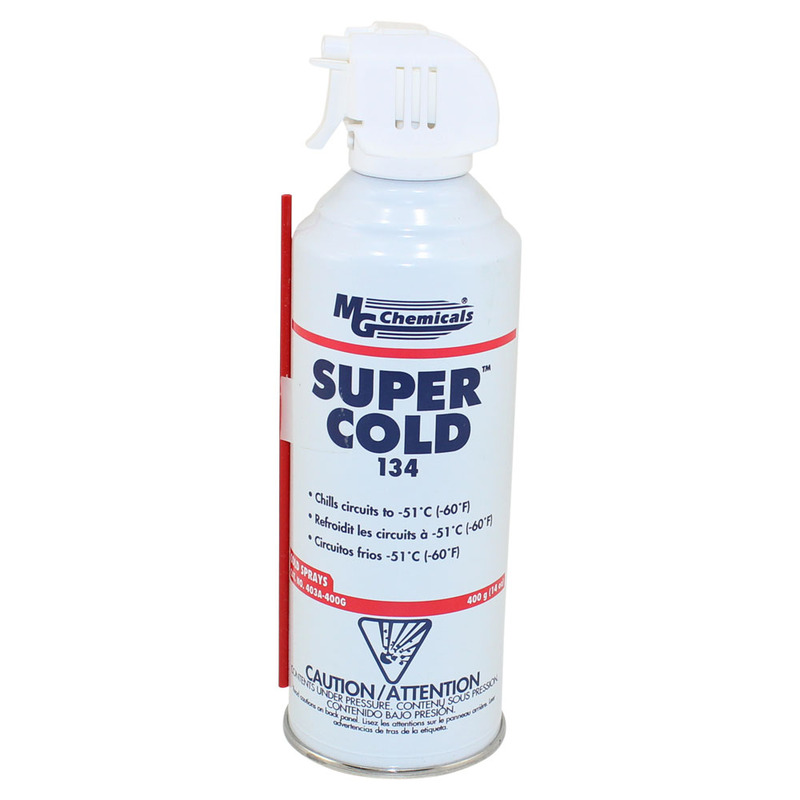 Circuit Specialists carries MG Chemicals' line of versatile super cold sprays, which chill to -51°C and are great for locating thermal intermittence and PCB cracks. Cold sprays are a good choice when you need to cool solder joints or protect heat-sensitive components during your soldering projects. In addition to super cold spray's myriad electronics applications it can also be used to freeze gum and other adhesives for easy removal. 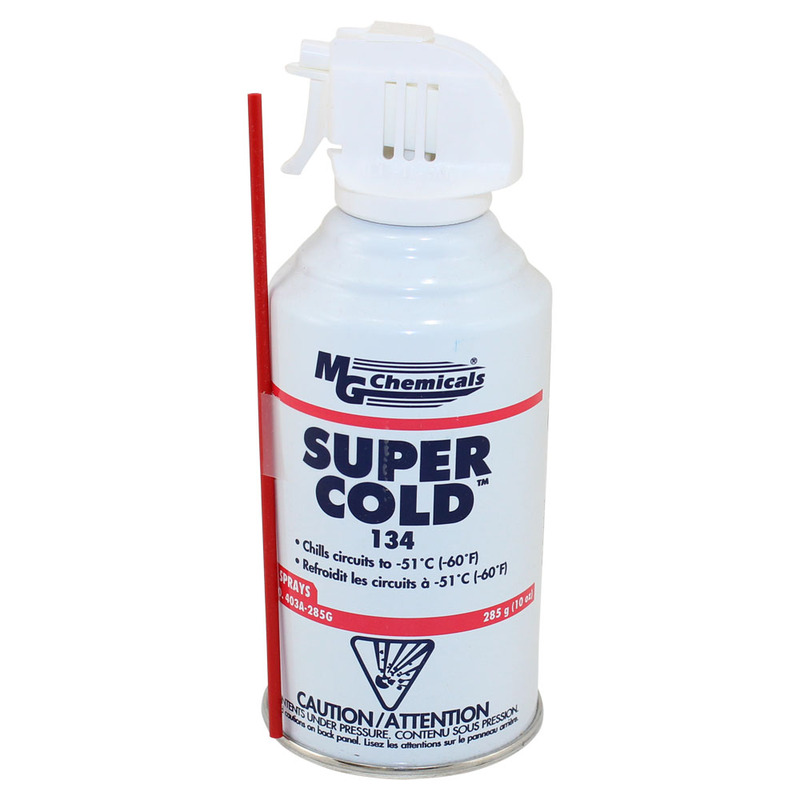 Super cold spray should be a part of every electronics hobbyist and professional's arsenal.